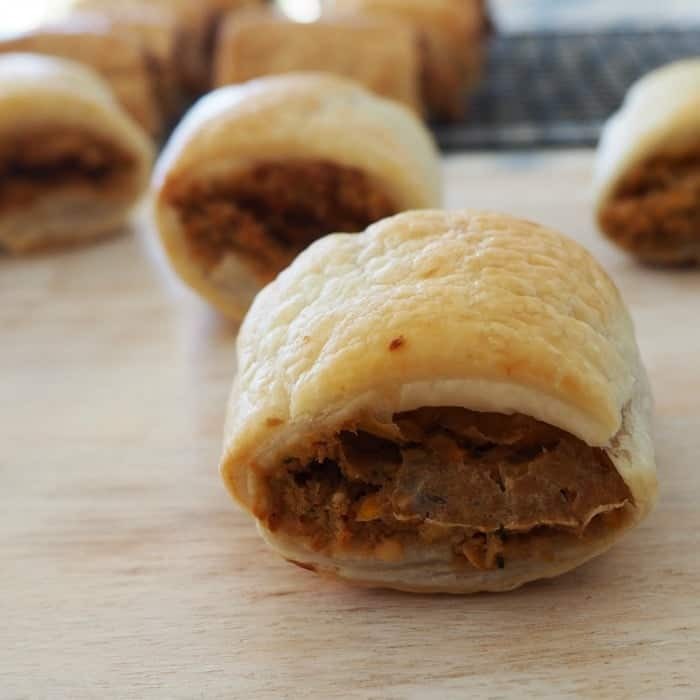 It took me a good year after receiving our Thermomix before I finally gave the Vegetarian Sausage Roll recipe from the basics book a try, and oh my goodness, I can’t believe I waited so long! 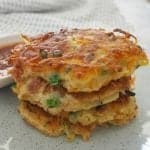 I can still remember closely watching my husband and boys try them for the first time and NONE of them picked up that they were vegetarian. It wasn’t until a few weeks later that I finally admitted to my husband that they didn’t contain any meat! As you can see from the picture above (the little hand in the top right corner trying to steal one!) 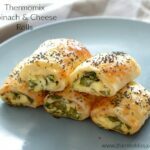 these Veggie packed Thermomix Vegetarian Sausage Rolls are still a favourite in our house. Over the years I’ve modified the original recipe to now include lots of vegetables and also use an entire block of feta rather than 3/4 of it, as I found that super annoying! These Vegetarian Sausage Rolls are freezer friendly, great for the lunchbox and they are also the perfect easy meal, I really hope you enjoy them! 80 grams stale bread approximately 2 slices torn into small pieces. Preheat your oven to 210 degrees and line 2 baking trays with foil. Place the garlic cloves, onion , carrot, red capsicum and zucchini into your Thermomix bowl and mix for 6 seconds on speed 5 to grate. Scrape down the sides of your Thermomix bowl and add the dried mixed herbs, walnuts and rolled oats. Mix for 4 seconds on speed 5 to combine. 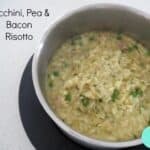 Scrape down the sides of your Thermomix bowl and add (in this order) the torn pieces of stale bread, eggs and feta cheese and mix for 20 seconds on speed 5 to combine. Use your spatula to push the ingredients down into the bowl for the first 10 seconds. Place your partially thawed pastry onto your bench and cut in half lengthways. Add filling along the centre of each pastry piece and then carefully roll to enclose. Cut into 4 pieces. 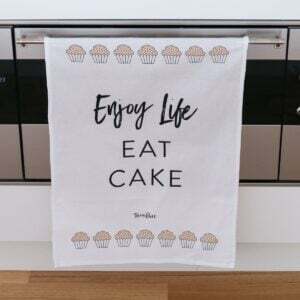 Repeat until you have used all of the mixture/pastry. Place the Vegetarian Sausage Rolls onto your baking trays and brush with the extra egg which has been lightly beaten. Place the Vegetarian Sausage Rolls into your preheated oven and bake for 25 minutes or until the pastry is puffy and golden. 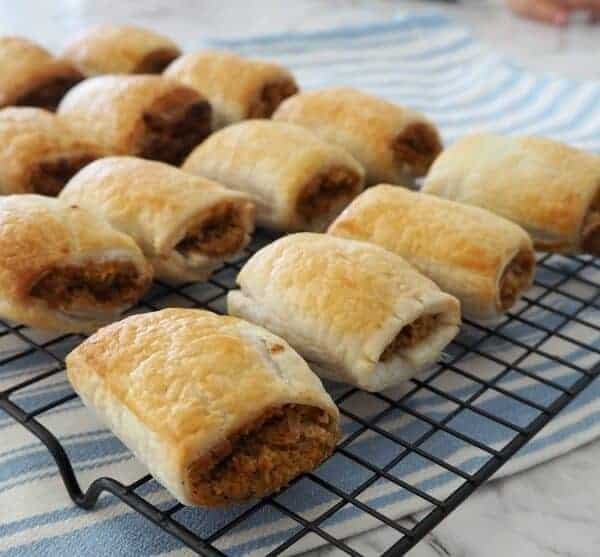 These Vegetarian Sausage Rolls can be frozen. You can add/remove the vegetables to suit the taste of your family. Make sure you also check out our Spinach and Feta Rolls for another Vegetarian option. 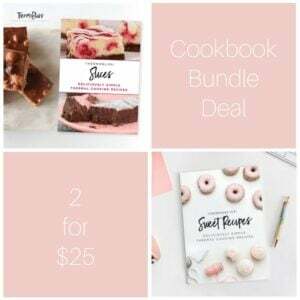 You can also find more meal and snack ideas in our print and ebooks – visit our shop here. Looks great! Can you suggest anything to replace the walnuts with to make it lunch box friendly? 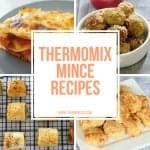 (i am clueless in the kitchen without a recipe or Thermie sp can’t think of anything!) thanks so much. Seems to be yummy. I love rolls thank you for sharing the recipe.. I love rolls thank you for sharing the recipe..
Would you freeze these before putting them in the oven or after?